My summer project is going to be to really get under the hood on advanced stats/analytics in hockey. Like I've said: professionally, I operate in a world of using stats to tell stories and analyze situations. I'm not resistant to the idea of advanced analytics in hockey. I just haven't been sold on the value of the metrics that are currently in vogue. So I want to understand them really well, to see if I need to come to a more-informed opinion. I started out today by finding an article on a Jets blog about what Corsi is and is not. It was a very good article: rationally laid out, and well-stated, arguments. It did not seem to have a pro-advanced analytics agenda – just more of a “here’s the deal, for better or for worse” attitude, which I respect. Corsi is simply the differential between shots (attempted) for and against, typically in even-strength situations. It can be applied at the team or player level, for a given game or number of games. If the Wild takes 6 shots at/on goal and Chicago takes 3 while Mikko is on the ice, Mikko has a +3 Corsi. Corsi counts all shot attempts, regardless of the outcome (blocked, missed the net, on goal, in goalPretty intuitive, makes sense. Glad we're tracking that. All aboard so far. The article then says that "Corsi can proxy scoring chances reasonably well". Okay, again, I don't debate that. Simply, it seems to me to be extremely rare that a team can register a scoring chance without first attempting a shot on goal. Sure, someone could suffer a Skoula moment that could lead to a crazy chance without someone taking a shot at the goal, but those are so rare as to be clear outliers. So, yeah, the team that wins the shots battle should come out on top. The higher the Corsi for a player, the greater the likelihood that he was on the ice for goals-for instead of goals-against. The point is made that Corsi lends itself to analysis about possession and territorial advantage. That’s a little thinner, I think. Because not all shot attempts come after the same amount of possession or even zone time. Think of a team that isn’t supporting the puck in the offensive zone, getting those “one-and-done” chances and then retreating back on defense. They could win the Corsi for that game, and it wouldn’t give you an accurate depiction of possession or territorial advantage. Or if team A gets pinned in its zone for a while, but doesn’t give up a shot attempt, then gets a breakaway and goes in for a shot attempt. In other words, there are normal situations that occur within a game that undermine the correlation between Corsi and possession and territorial advantage. But, I’m still willing to say that the middle of the bell curve of outcomes will support a pretty strong correlation between these things. Then we get into Fenwick, which is Corsi net of blocked shots. So, the more shots you take that get to or around the net (instead of getting blocked on the way) vs. the other team, the better. Fair enough. I found other articles by the likes of Cam Charron and Jesse Spector that delved deeper in the genesis and history of Corsi, which were also very interesting. But here’s where I think the breakdown in additive applicability to the broader game of hockey starts to come into play. Corsi grew out of Jim Corsi’s desire to track events within a game that would cause a goaltender to react physically. He made the novel leap that such events are not solely manifested by shots on goal/goals, but also by shots attempted. I play goalie, granted at the beer league level, and this kind of thinking warms the cockles of my heart. 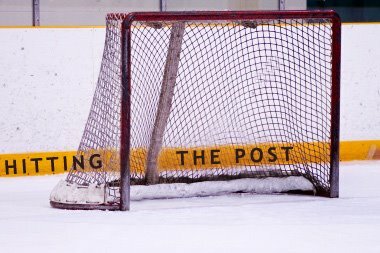 But, lots of things occur during a game that cause me, as a goalie, to move – many of which occur with or without a shot attempt associated with them. Now, I understand you can’t wrap everything into a metric like this. There has to be a line, and making that line shot attempts makes good sense. I’m just saying that, when you extrapolate this beyond the goalie to the broader game, its effectiveness starts to fray at the edges a bit. Again, it’s not even that I don’t see a correlation to things like scoring chances or even wins and losses, it’s that I don’t see an added level of insight to those things beyond what we get with simple shots for vs. shots against. So, I ran the numbers for the Wild’s 2013-2014 season, using extraskater.com as my source. What I came up with was pretty interesting. The preceding data shows the Wild’s record (win, loss, overtime/shootout loss) when they had a positive or negative Corsi, Fenwick or simple shots rating. The upper section of data show the results with a positive or negative differential only. The lower section of data show the results with an even OR positive differential, or a negative differential. The thesis was that Corsi and Fenwick do a good job of indicating outcomes, and a better job than traditional statistics (such as simple SOG differential). The conclusion, from this sample set, debunks that thesis in two ways. First, a positive Corsi differential only correlated to a 39.39% winning percentage. A positive SOG differential correlated to a 38.89% winning percentage. That’s a wash. A positive Fenwick differential correlated to a 40.54% winning percentage – a little better result than Corsi, relative to straight SOG. Second, a negative Corsi or Fenwick differential, the thesis would follow, would indicate that the Wild trailed in chances, possession and territorial advantage, all of which would seem to lead to the analysis that the Wild would be more likely to lose those games in which their Corsi or Fenwick differential was negative. The data proves otherwise. In fact, the Wild had a significantly better winning percentage when their Corsi differential was negative (56.52%) than when it was positive (39.39%). The Fenwick data show the same thing: a better winning percentage when the differential was negative (54.55% than positive (40.54%) . The same basic relative outcomes hold for the SOG differentials, proving both that Corsi and Fenwick are no better at predicting, or correlating to, wins than simple SOG and that Corsi, Fenwick and SOG are lousy predictors of outcomes in general. Adding in the outcomes where the differential was even to the outcomes where the differential was positive moves the data even more in favor of SOG being at least as good a metric than Corsi and Fenwick for predicting wins. When you challenge the advanced analytics set on their thesis, sooner or later they trot out sample size as a limitation. It’s funny because they don’t seem to have an issue with a small sample size when the data work for them, but it’s definitely an issue when the data work against them. There can be no doubt that even an 82-game sample size is sub-optimal. For the record, extraskater.com was giving me trouble going back farther than this season, so I will continue to try to add to the data set for the Wild. So, before the advanced stats guys jump all over me, I acknowledge this sample size is small. I think you can make the argument that you could either go insane trying to establish what an appropriate sample size is, and also that each roster is unique (and rosters are constantly in flux due to injuries, line changes, etc) so maybe a full season is a reasonable sample size. But, I know sample size is going to be brought up. By way of a conclusion, I am not willing to say I have concluded anything. The fact is I would like to get more data. But people should also recognize that as you add to the sample size you invite the introduction of additional variables that could limit the applicability of the results. I came into this thinking that advanced stats don’t tell me anything that elementary stats already told me. I have not seen anything that would make me think otherwise, to this point.